I first came in contact with Seattle based The Mothership a couple of years back. I have enjoyed their album Ten Miles Wide a great deal so I sort of already knew I would like the new album in advance. 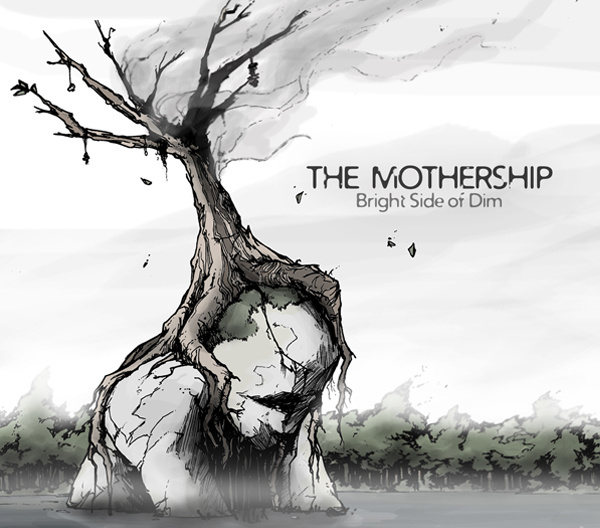 Bright Side of Dim surprised me nevertheless, it still holds the unmistakeably The Mothership alt-rock/grunge sound and style, but it has become darker and more angry/emotional. Lots of catchy melodies and heart. The vocal makes me think of old grunge legends like Cobain, Staley and Cornell – smooth, inviting, raspy, emotional and credible. I believe every word that comes out of Johndus Beckman’s mouth. The musicianship is overwhelming and the album holds such high standard that I recommend it to anybody that enjoys good music. The album holds together just perfectly and even though I hear references to the Seattle alt-rock/grunge scene from the 90’s, The Mothership has found their own ground and adds something fresh and new. I have enjoyed every listen through throughout the days I have had The Bright Side of Dim in my possession and it will accompany me on many lazy Sundays, late nights and tired Mondays in the future as well. Bright Side of Dim will be released the 28th of March 2014.